JFC have a series of footbaths which when used with good farming practices reduce the spread of infection and assist in the prevention and treatment of claw/hoof diseases and lameness. 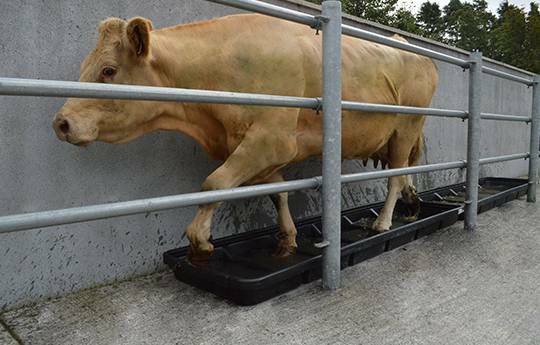 JFC cattle footbaths are manufactured from tough polyethylene making them extremely hard wearing and durable. JFC sheep footbaths are manufactured from tough polyethylene making them extremely hard wearing and durable.